Find out everything about how to play Mega Millions online. In just a few easy steps, you can put in your Mega Millions ticket and take part in America’s favourite lottery! Take a look! The official rules of the Mega Millions say that players must choose 5 main numbers from a guess range of 1-70, as well as an additional number, which is called a Mega Ball. This one must be chosen from a guess range of 1-25. As such, each line played in the Mega Millions must feature five main numbers and one Mega Ball. Players who guess all five of the main numbers and the Mega Ball are eligible for the Mega Millions jackpot, which will tell you more about in the following sections. This is one of the largest lottery prizes in the entire market, which makes the Mega Millions one of the most popular games in the whole world. But there is so much more to the Mega Millions than the jackpot. Aiming for the secondary prizes is extremely worthwhile because these larger than life. Guess the 5 main numbers to win as much as $5,000,000 if you play with Megaplier! When Are the Mega Millions Draws? The Mega Millions lottery hosts draws twice a week, thus providing players with two chances every single week to win the amazing prizes in the game. The official Mega Millions draws are held on Tuesdays and Fridays at 23:00 EST. Players should make sure they have their tickets ready before the cutoff time of each draw, which is one hour before the scheduled start of the draw. 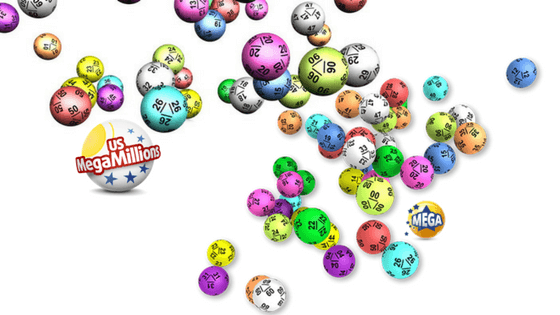 On each draw, the lottery officials randomly select five numbers from 1 to 70, and one Mega Ball from 1 to 25. Each draw means a new chance for players to win the fantastic prizes in the game. Soon after the draw closes, players can purchase their tickets for the following Mega Millions draw. Until the US Powerball $1.58 billion jackpot broke all lottery records worldwide, the Mega Millions dominated the list of top jackpots of all time. The first prize in the Mega Millions lottery starts at a minimum amount of $40,000,000. Every time when there are no tickets with the drawn main numbers and Mega Ball, the amount of the next jackpot becomes bigger. This happens until the jackpot find its rightful winner. The Mega Millions rules do not impose a maximum limit for the first prize in the game. As such, it can grow exponentially until it reaches amounts far larger than you can imagine. The current record for the Mega Millions jackpot is $656,000,000. The Mega Millions lottery features 9 prize divisions in total, including the first prize. In the table below you can see the complete list of prizes available in the Mega Millions lottery. The second prize in the game is worth a whopping $1,000,000, which makes it the highest in the market (tied with the second prize in the US Powerball). To win it, players must guess all the drawn five main numbers. For an extra $1.00 fee, players can get the Megaplier feature. This means that they have the chance to increase their secondary prizes to staggering amounts. The Megaplier is drawn from a guess range of 2 to 5. This additional number is drawn separately after the main numbers and the Mega Ball. The Megaplier can increase all secondary prizes 2, 3, 4, or even 5 times. Players do not choose the Megaplier, but they do have to pay the required fee to get this special feature. Please note that the Megaplier does not apply to the jackpot. While the first prize cannot be increased, all secondary prizes including the $1,000,000 second prize can, which means that players should never forget to Megaply because this feature could give their prize a significant boost. What Are Your Chances of Winning the Mega Millions? 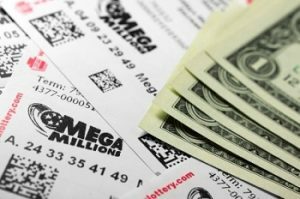 While the odds of winning the Mega Millions can be quite intimidating, players should remember that it only takes five main numbers and the Mega Ball to win the enormous jackpot in the game. An inspired choice of numbers could beat odds of 1 in 302,575,350 of scooping the jackpot. As for the chances of winning the secondary prizes, these are far easier to take in. For instance, players stand one chance in 12,607,306 to win the second prize in the game. As for the smaller prize categories, these come with odds that seem absolutely achievable. Good luck!